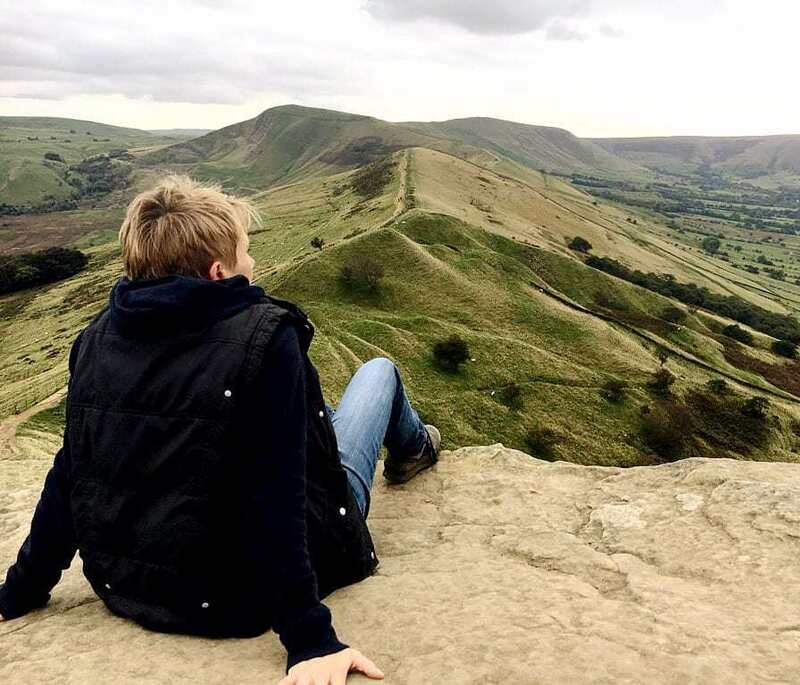 The stunning limestone valley of Dovedale is one of the best loved beauty spots in the Peak District National Park, and indeed one of the most visited natural sites in Britain. Its steep, verdant crags tower above the River Dove as it tumbles through the dale, crossed by a picture-perfect set of stepping stones. 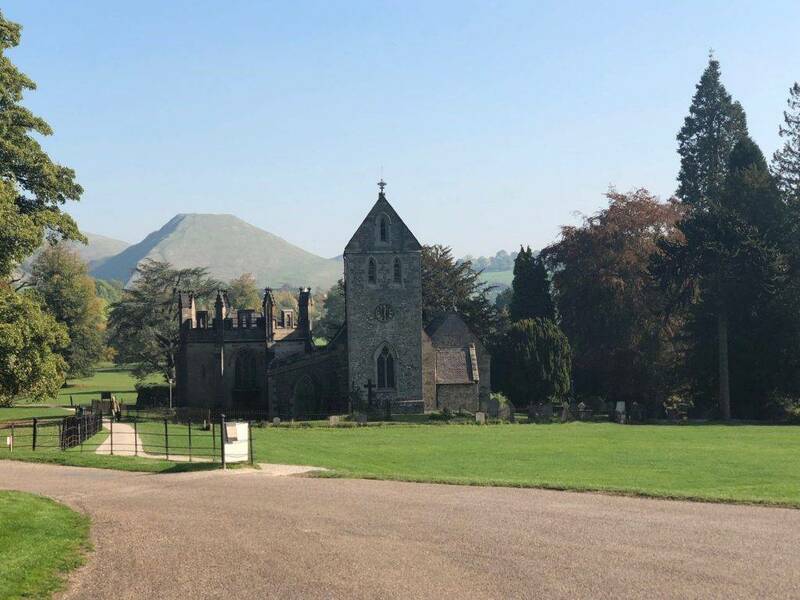 Its easy access paths and grassy slopes make it a favourite with families and picnicking daytrippers, and it attracts over a million visitors every year. However, it’s not difficult to escape the crowds if you walk a short distance away from the main valley, and the nearby dales of Hall Dale and Milldale will reward you richly for just a little exploration off the beaten track. Dovedale is owned by the National Trust and has been since 1934. It became a National Nature Reserve in 2006, in recognition of its importance for wildlife and native flora, and is also designated a Site of Special Scientific Interest (SSSI). The ash woods in this area are considered the best in England, and the valley is also home to many species of rare plants, including wild lily of the valley. Keen-eyed bird watchers can see kingfishers and dippers along the river, and shy water voles live along its wooded banks. The crystal-clear River Dove is surely a contender for the prettiest river in the Peak District. 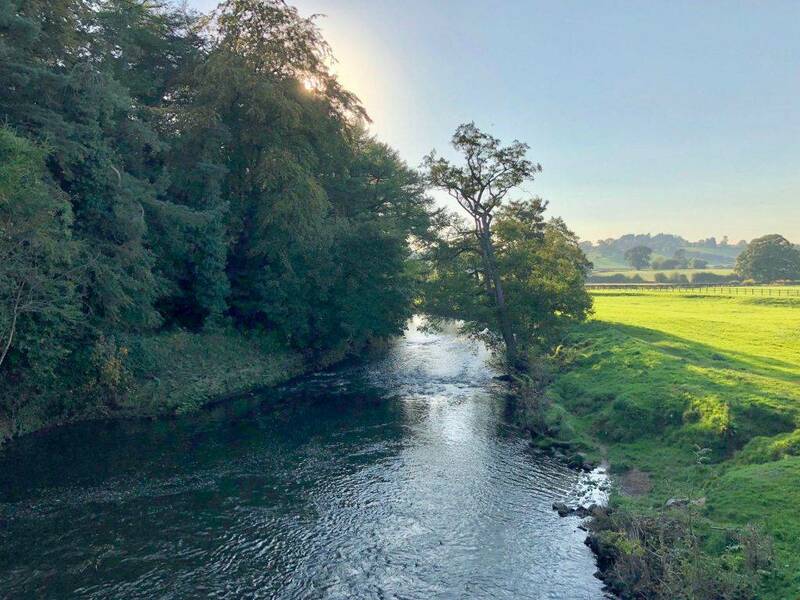 It runs for 8 miles from Hartington in the north to its confluence with the River Manifold at Ilam, rushing through the beautiful Beresford Dale, Wolfscote Dale and Milldale before reaching Dovedale. The name comes from the pre-Saxon word ‘Dub’, meaning black, referring to the river’s dark course through the gorge. 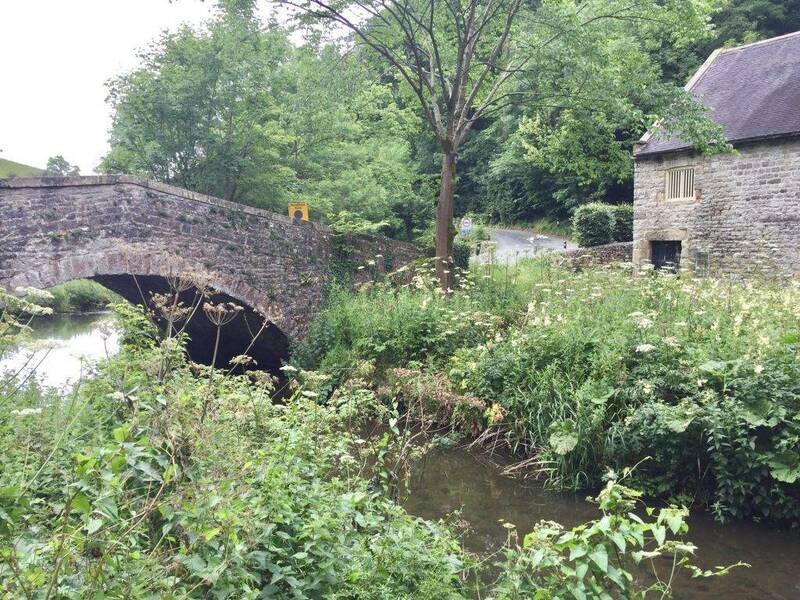 The River Dove is renowned for its trout fishing, and was immortalised in the book The Compleat Angler, written in 1653 by Izaak Walton and Charles Cotton, who lived nearby. For much of its course the River Dove has one bank in Derbyshire and one in Staffordshire, forming the border between the two counties. The limestone rock that forms Dovedale and the surrounding valleys is made up of the fossilised remains of marine life that lived during the Carboniferous period, 350 million years ago, when this area was underneath a shallow tropical sea. You can still see many of the fossils in the surface of the rocks, including those that make up the stepping stones and also the steps that lead up to Lover’s Leap. 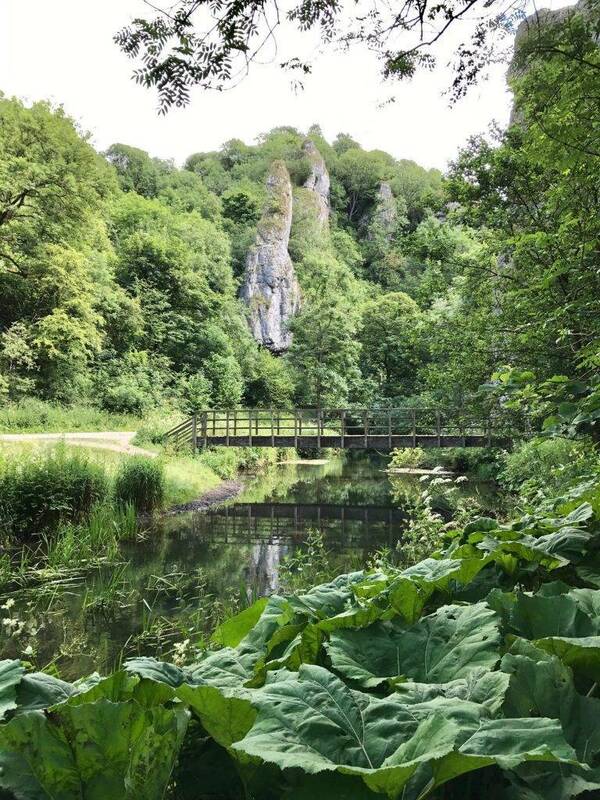 Following the course of the River Dove further along the valley, visitors can see the beautiful limestone features of Lover’s Leap and Reynard’s Cave, as well as Ilam Rock and the dry caves at Dove Holes. The stunning limestone promontory of Lover’s Leap is accessed by a set of steps built by Italian prisoners of war from the Second World War. The rock is so-called because a young woman who believed her lover to have been killed in the Napoleonic Wars threw herself from the crag into the ravine below. Her skirt caught in a tree on the slopes as she fell, however, and she survived, later to discover that her lover was actually still alive. Dovedale is renowned for its beautiful rock formations, created by water, ice and wind erosion over the millennia. Some of the exposed limestone has formed magnificent structures, towering above the valley floor. One such column is Ilam Rock, which rises 25 metres high and stands as a solitary pinnacle watching over the river, close to Ilam Rock Bridge. 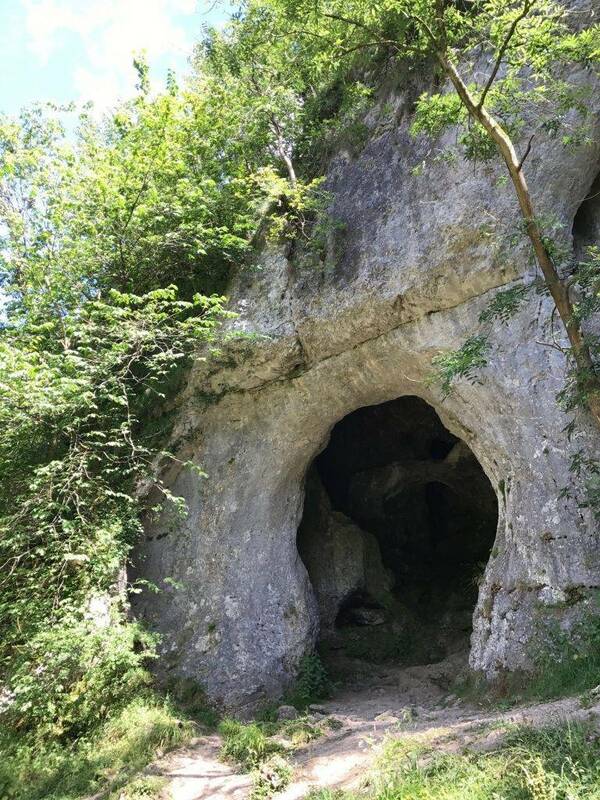 There are numerous small, natural caves throughout this landscape owing to the nature of the geology of the area, but the best known and most accessible are Reynard’s Cave and the caverns at Dove Holes. These caves have seen human inhabitation since 13,000BC, when the first Upper Paleolithic hunters used them for shelter. In more recent history, there is evidence that Neolithic farmers used the caves as tombs about 4,500 years ago, and further evidence of Bronze Age occupation in Reynard’s Cave. The caves at Dove Holes are shallow but easy to access and explore from the path. Some of the items found from within the caves are displayed in Buxton Museum, as is a hoard of Late Iron Age and Roman coins found within Reynard’s Cave in 2014. 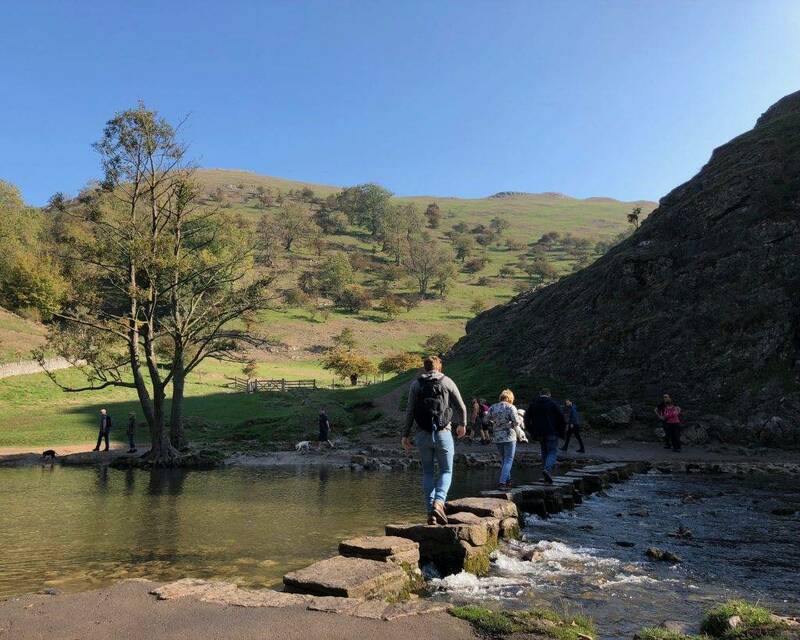 Dovedale has been a favourite with tourists since the 18th Century, and from 1899 until the 1960s the Ashbourne to Buxton railway line ran to a station at Thorpe Cloud, just above Dovedale, making it even more accessible for hikers and visitors. The old railway line has now been converted to a footpath, the Tissington Trail. In 1931 Dovedale was also one of the areas to be proposed for the very first national park in England, although it was eventually included within the bounds of the Peak District National Park twenty years later, when it became the first National Park in 1951. 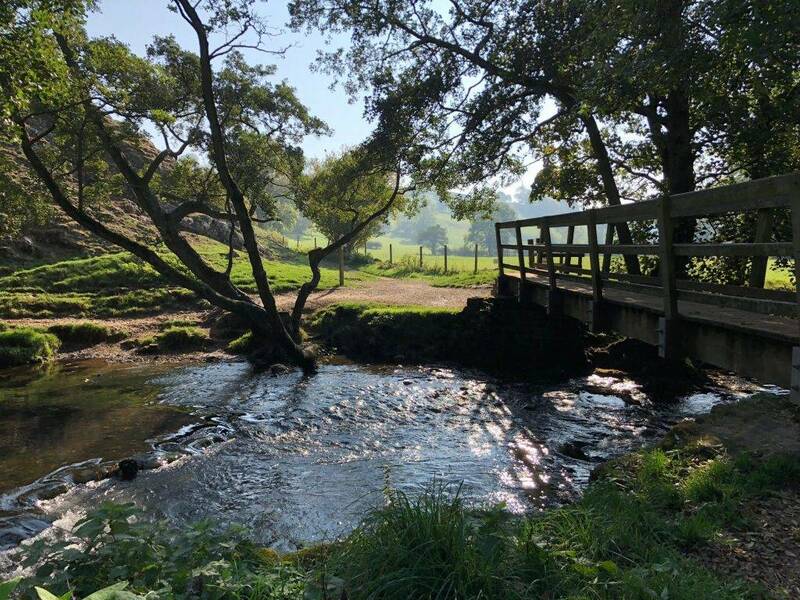 Dovedale has long been an inspiration for artists and writers, too, with Samuel Johnson, Lord Tennyson, John Ruskin and Lord Byron all writing about its beautiful landscape. It features in Jane Austen’s Pride and Prejudice too, when Miss Bennett tells Mr Darcy about her travels in the area. More recently, it has featured in the films of Jane Eyre and The Other Boleyn Girl, and was also used as a location in Ridley Scott’s film Robin Hood. 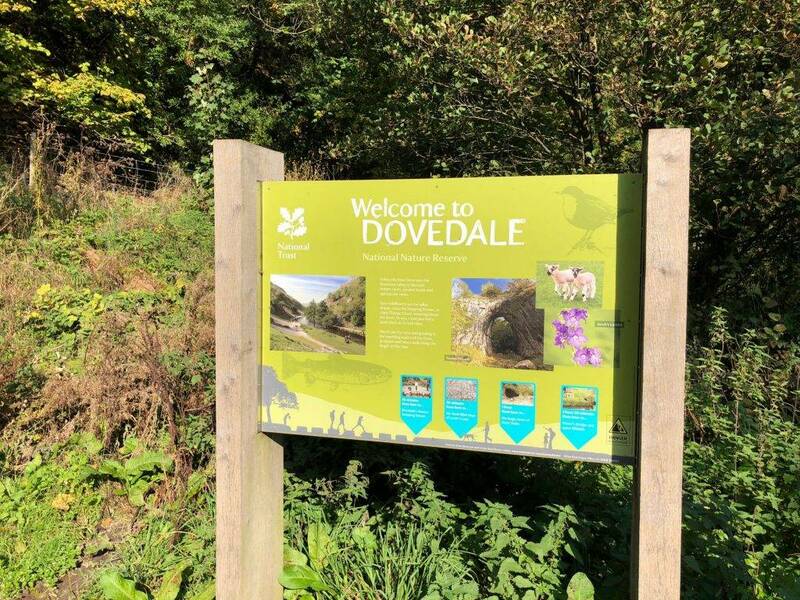 Dovedale is well served by facilities for a natural beauty spot, with a large car park (fees applicable), public toilets and a tea room. The nearby village of Ilam also has a National Trust tea room within Ilam Hall. 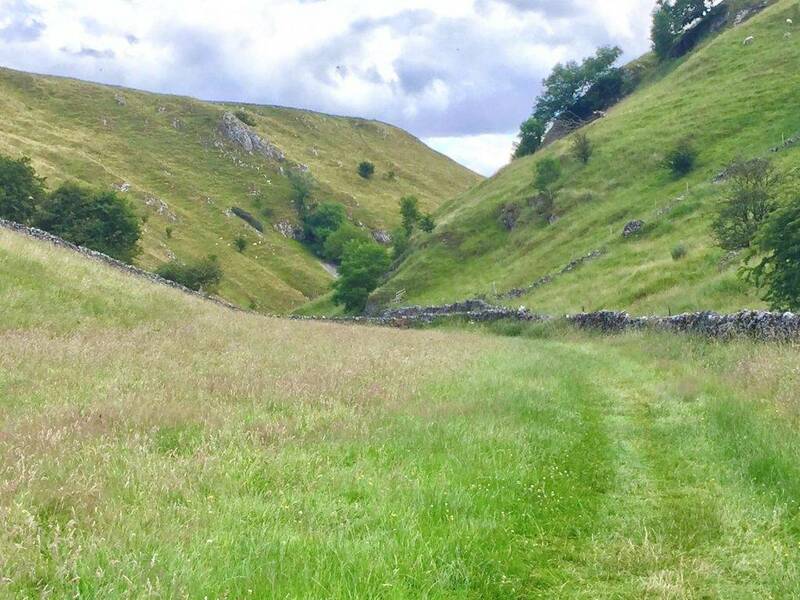 To explore for yourself around beautiful Dovedale, Hall Dale and Ilam, follow Let’s Go Peak District walk. You can find more information and download it HERE.